Ahh those summer evenings! 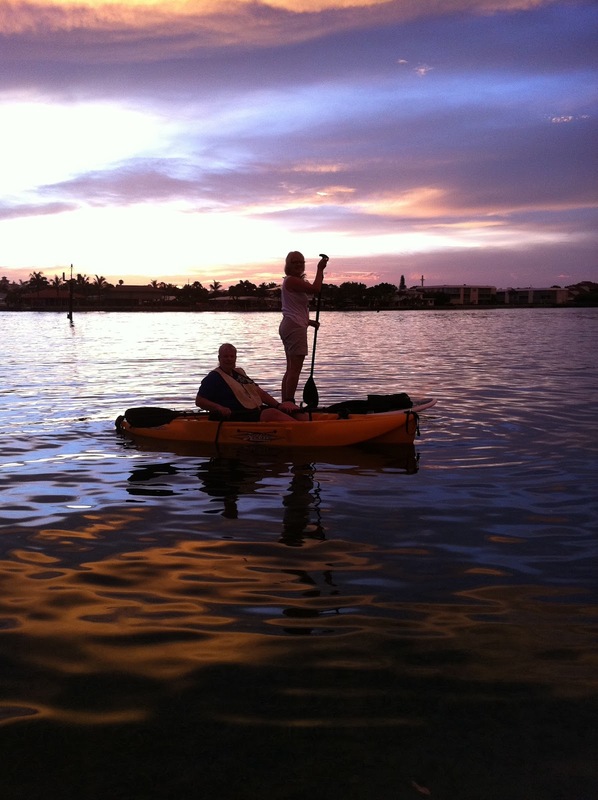 Intracoastal salt water…warm as bathwater transforms itself into a spa. Stress melts as the sunset leaves hues of purple, pink, orange and gold painted across the sky. One of my favorite places this time of day is Coral Cove. The water is crystal clear and even as the sun sets you can catch glimpses of the underwater wildlife, not to mention the shoreline feather creatures strolling for their supper. The boats for the most part have returned home so you feel as though you own the waterway. Sharing happy thoughts with friends or just meditating on the blessings our awesome God has given to us to enjoy brings soul satisfaction. With each stroke of the paddle the delight of gliding across the water creates a sense of accomplishment as we tone and build muscles in our core. When we lay our head on the pillow that night, rest is assured…why go to an artificial spa when you can visit the Creator's real life version! 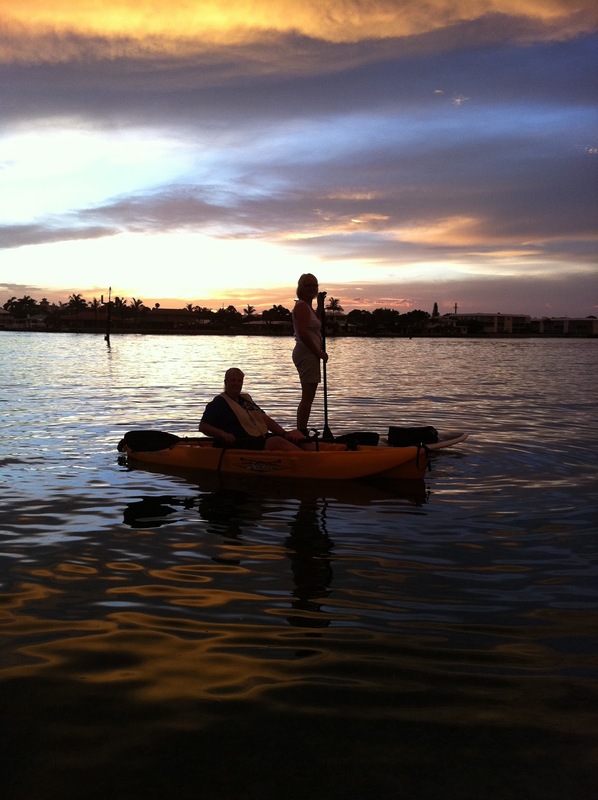 Join Paddleboard Excursions for the ultimate spa experience of a lifetime! Standup paddleboarding offers a much better perspective when it comes to spotting wildlife under the water. It is also much more engaging if you are trying to get a good workout and build your core muscles compared to kayaking. It does require obtaining sea legs and incorporating balance.